The third Vusumzi Primary School classroom is dedicated to Mattie La Verne Edwards Kemp, a lifelong teacher and administrator. Mattie was born in Covington, Tennessee, and she began her education at Frazier Elementary School, which segregated its students based on skin color. She attended Frazier Elementary School through fifth grade, and at the beginning of her sixth grade year, finally, the local schools, under order of the federal government, desegregated and allowed all children in Tipton County the opportunity to receive an equal education. Mattie graduated from Covington High School and subsequently earned degrees from the University of Tennessee, Salve Regina University, and Rhode Island College. Throughout Mattie's early years, she was blessed to have family and community members who valued education and encouraged her to strive to do her best, regardless of circumstances or obstacles. She grew up in a family of educators; her cousins, uncles, aunts, mother, and grandmother were all teachers. Even as sharecroppers during the brutal years of Jim Crow, Mattie's grandparents instilled in all their children a love of learning and a desire for knowledge. Mattie writes, "I stand on the shoulders of my ancestors who gave me the will and desire to learn and to share the experience with others." It should come as no surprise, therefore, that Mattie instills that love of learning in her students, as well, while also earning the respect of her students' parents. One parent wrote, "Mattie is one of those rare teachers who educates children through the lens of their strengths rather than their weaknesses. She approaches every challenge with a positive perspective, without ever loosening her high expectations." That combination of warmth and standards - one that has never been mutually exclusive - is part of what distinguishes Mattie. Another parent wrote, "Kids trust and respect Mattie, and we are grateful that our daughter had the chance to learn from an educator and a human being with kindness, intelligence, and humanity." Yet another underscored Mattie's ability to inspire curiosity and thoughtful discourse: "Mattie taught my children how to form an opinion and debate a point. Believe me, you would not want to get involved in a debate with my daughter. My daughter learned how to think from the best." One learner spoke for hundreds of his schoolmates when he said, "I never heard Ms. Kemp get angry. We respected her so much that she never had to raise her voice. No one ever wanted to disappoint her." 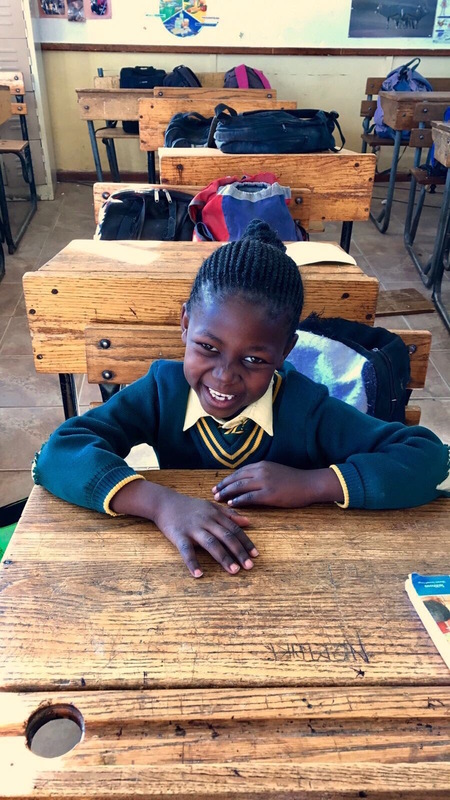 How fitting it is that Mattie La Verne Edwards Kemp, whose life was affected by educational segregation and inequality, now has a classroom named for her in South Africa, where Xhosa students still wrestle with the aftermath of the apartheid regime. The symbolism of Mattie's determination and achievements will send a strong message to children at Vusumzi Primary School: that education is the most impactful and permanent way by which to change the world.